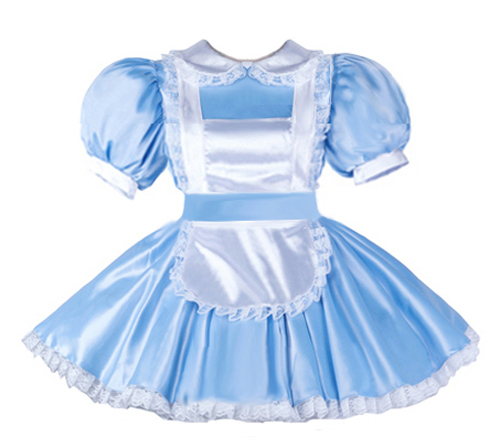 Elegant and frilly short full swinging sissy maid dress with wonderful Peter Pan Collar trimmed with stunning lace! The matching cute frilly full apron that makes a big bow at the back and the frilly head piece / cap come together with the dress. Many more amazing custom made designs and plenty of amazing accessories can also be found in our shop.